These are 9 Pin SIL Network Resistors. 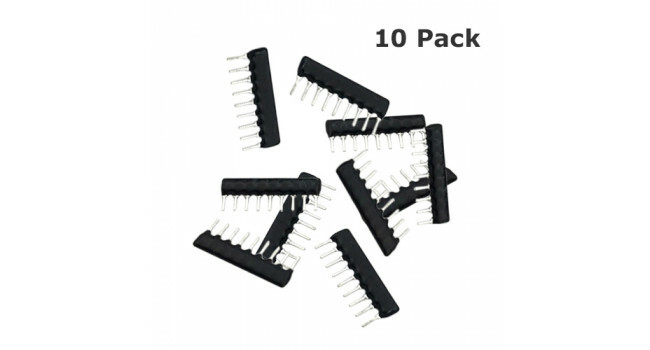 Resistor 4K7 5 Pin SIP - 10 Pack These are 5 Pin SIL Network Resistors. Quick Spec Resistance: 4K7 Standard Resistance Tolerance at 25°C: ±2% Operating Temperature Range: -55°C to..
Resistor 4K7 9 Pin SIP - 10 Pack These are 9 Pin SIL Network Resistors. 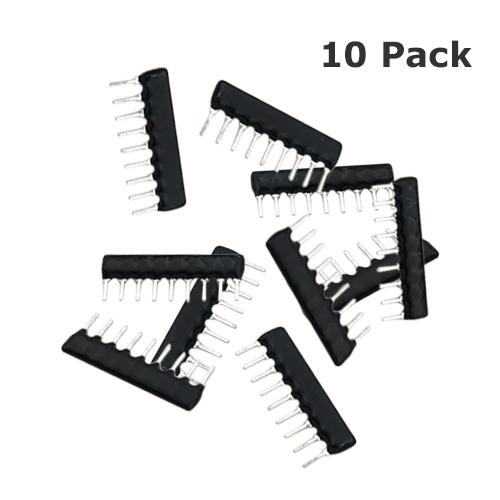 Quick Spec Resistance: 4K7 Ohm Standard Resistance Tolerance at 25°C: ±2% Operating Temperature Range: -55°..
Resistor 10K 5 Pin SIP - 10 Pack These are 5 Pin SIL Network Resistors. Quick Spec Resistance: 10K Standard Resistance Tolerance at 25°C: ±2% Operating Temperature Range: -55°C to.. Step Drill Kit 312, 412 & 420 This is the New HSS Steel Large Step Cone Drill Titanium Bit Set Hole Cutter, which is made from high quality HSS steel, and is Titanium coated to reduce friction an..
Resistor 1K 5 Pin SIP - 10 Pack These are 5 Pin SIL Network Resistors. Quick Spec Resistance: 1K Standard Resistance Tolerance at 25°C: ±2% Operating Temperature Range: -55°C to +..